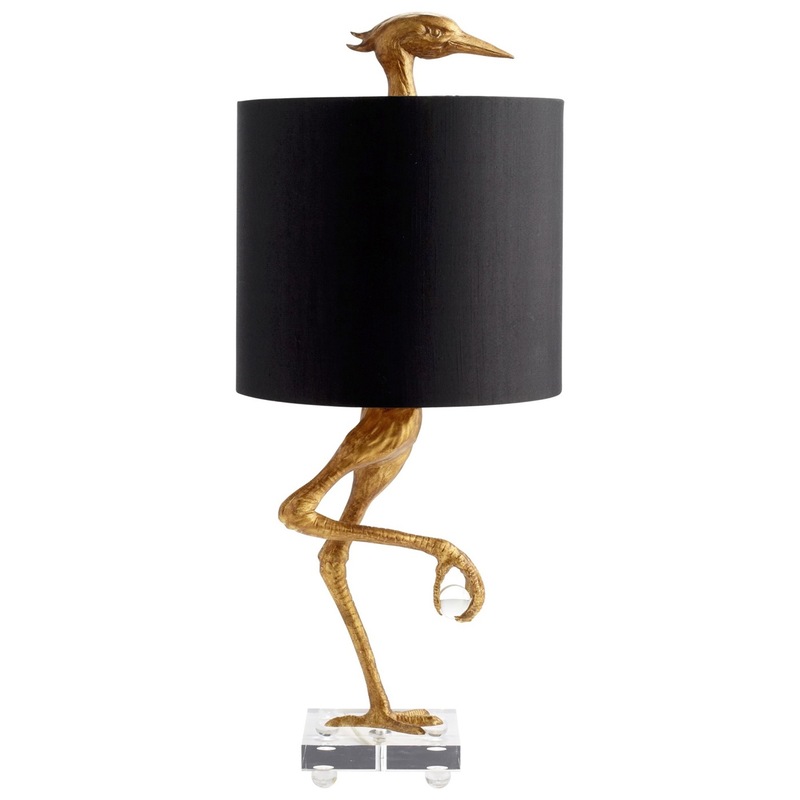 This bird is the word in fun style. 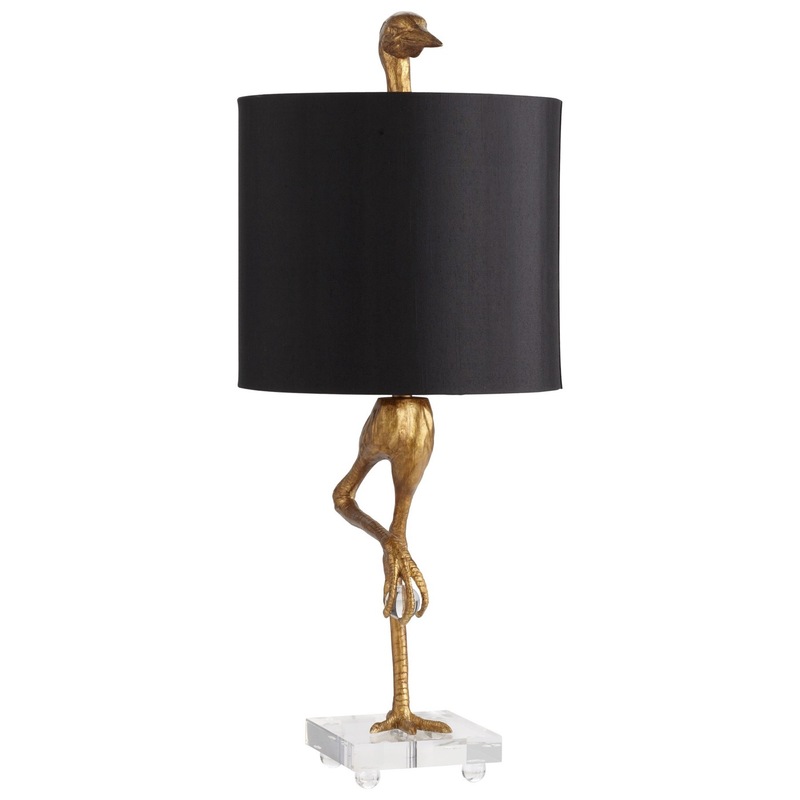 Perched atop a clear acrylic base, this whimsical and wild table lamp base boasts long slender bird legs as its base and bird's head finial to give the illusion of a full-bodied bird peeking through to watch over your space. One talon even clutches a clear glass sphere for a unique touch. 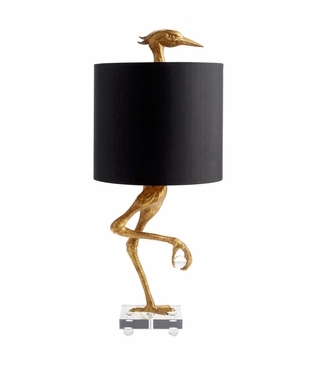 Full of intrigue and wonder, this lamp is made of resin with a gold leaf finish. Topped with a tall white drum shade. 1-100W maximum bulb (not included).